The most common answer that Informatics professionals respond with is, "Well, you just can't", usually followed by some sort of an awkward smile and an answer that sounds like, "You know those computers, they are always so difficult." But there is a real reason, with a better answer. 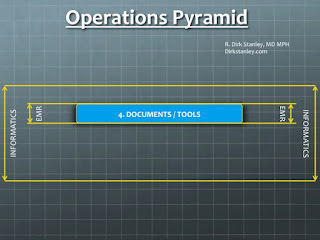 To help explain that answer, I'd like to introduce a new concept - The Frankenform. 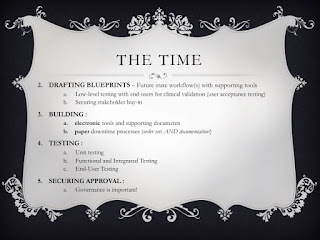 PROTOCOLS - Tools that allow a nurse, pharmacist, or other licensed medical professional to start/modify/stop a patient care order on behalf of a licensed physician. 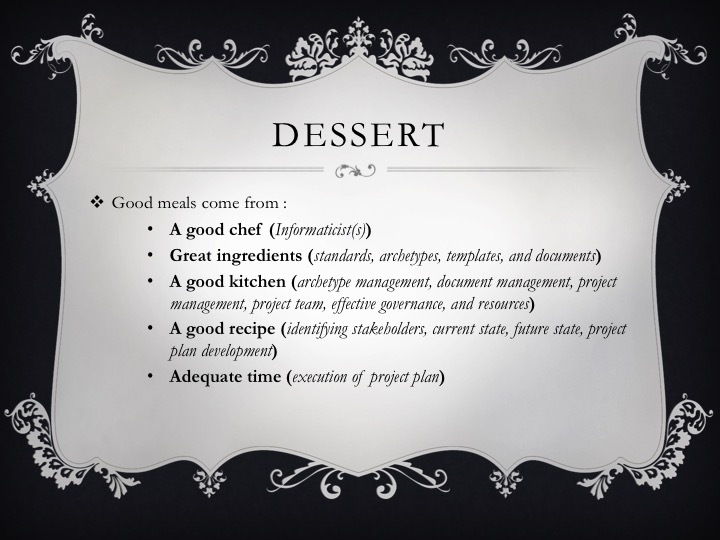 These definitions will be helpful in spotting Frankenforms - Forms that often combine these functions. Frankenform (n.) - a form or document that is designed with more than one archetype, role, or scenario in mind. 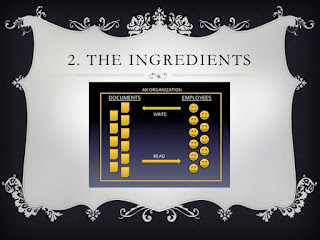 They contain two different archetypes (e.g. part-policy-part-order-set, or part-policy-part-guideline, or part-documentation-part-order-set, etc. They are engineered to enforce archetypes - Generally, order sets are found in the order set section of the software, documentation is found in the documentation section, and guidelines and protocols may not be contained in the software at all. So while you can link from your clinical documentation TO your order set, or link your order set to a set of clinical guidelines, you can't actually put documentation and orders in the same part of the software. 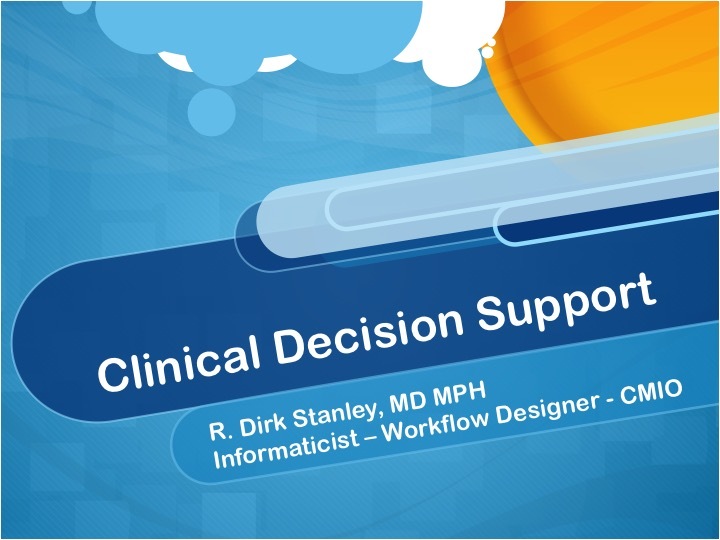 Taking advantage of good, electronic Clinical Decision Support (CDS) generally depends on a clear, linear workflow. 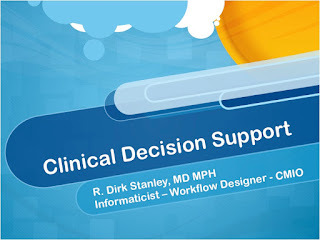 Interestingly, most EMRs will still allow you to make orders, order sets, or documentation to address two or more different scenarios - While it's quite not as unorthodox, it still can lead to very lengthy documents/order sets with poor decision support that can frustrate users in the long run because they require a lot of clicking to complete them. 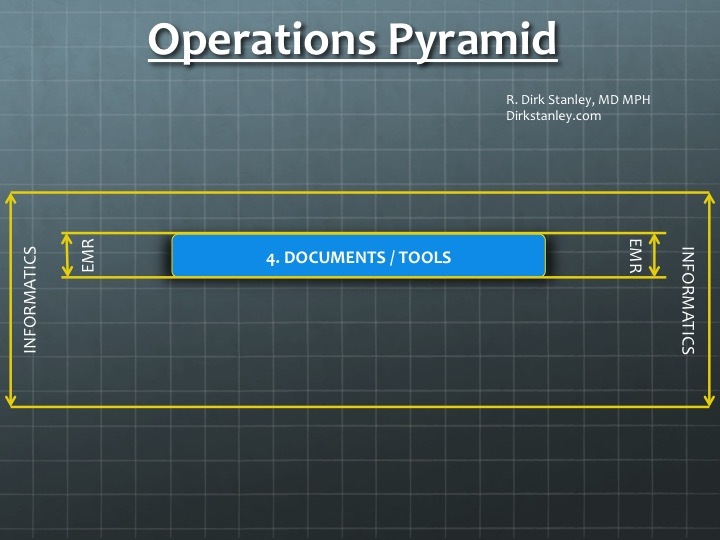 So let's now look at these three different types of Frankenforms in a little more detail. 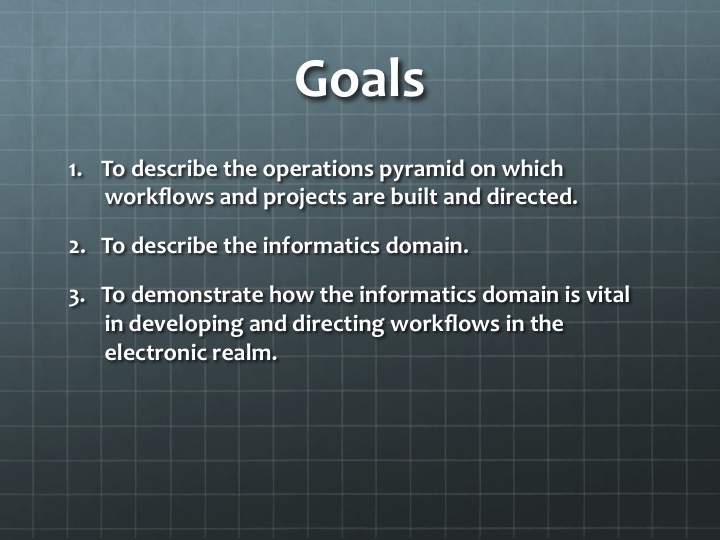 A common workflow challenge is when two different roles are involved in ordering/documenting in the same workflow. The classic example of this is the Dietary TPN order, which is usually one order with many fields - Some are filled out by the physician, and some are filled out by a Registered Dietitian. You can often spot these forms because they have multiple signatures on them. While it's important to have both signatures before processing the order (often for safety/billing reasons), having two different signatures can cloud the workflow that led to the completion of the order - Who filled out which field? 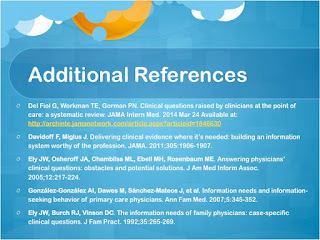 Did the dietitian enter the potassium, or did the physician? If the potassium needs to be raised, who does a nurse call? The physician? Or the dietitian? 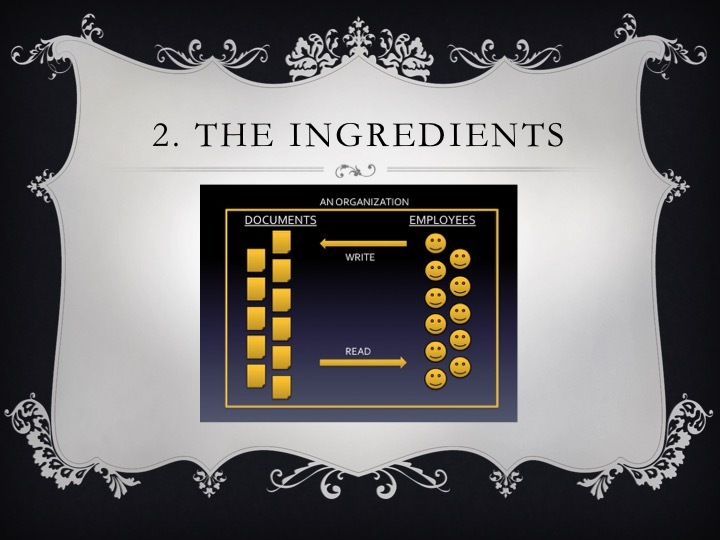 This is the scenario where a paper form with one signature actually contains components from two different tools, e.g. an "ED Nursing Protocol" which is part-documentation, part-orders, and part-guideline. Again, these were very convenient in the paper world, because you could have all-the-information related to the workflow in one place. While these are sometimes easier to build in an electronic environment (provided they really only have one stakeholder), they still generally require separation of the tools into their electronic components - E.g. 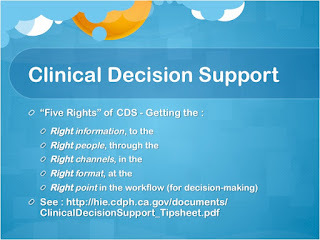 the documentation in one place in the software, LINKED to the guidelines for review, LINKED to the orders that get activated. Often, while dissecting these Frankenforms into their separate components, workflow questions arise which must be looked at to ensure safety and regulatory compliance. Again, this is usually not hard to overcome, but it should be expected that converting these paper forms to an electronic workflow will take some additional time and resources. (Also sometimes referred to as "pick lists") - While this Frankenform looks fairly innocent (who wouldn't want all of their antibiotics on one order set? ), it's generally a sign of a larger workflow issue. 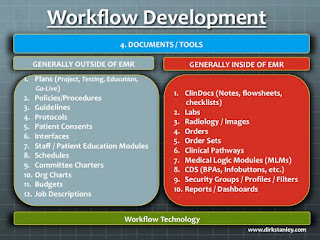 These Frankenforms, seeking to address many-different-clinical-scenarios-with-one-tool, can require the most time to redesign because they usually raise larger workflow questions, bigger than the form itself. For example, having a broad "ED Antibiotics Order Set" means you are missing opportunities to develop disease-related, evidence-based order sets, which often involve more than just antibiotics. 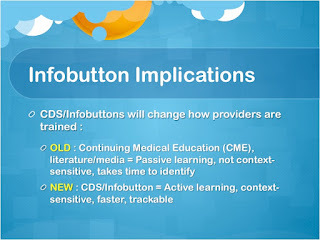 While in the short-run, physicians may like having all of their antibiotics in one place, they may get frustrated looking for other medications related to disease management, and/or miss other quality indicators. While creating (and maintaining!) 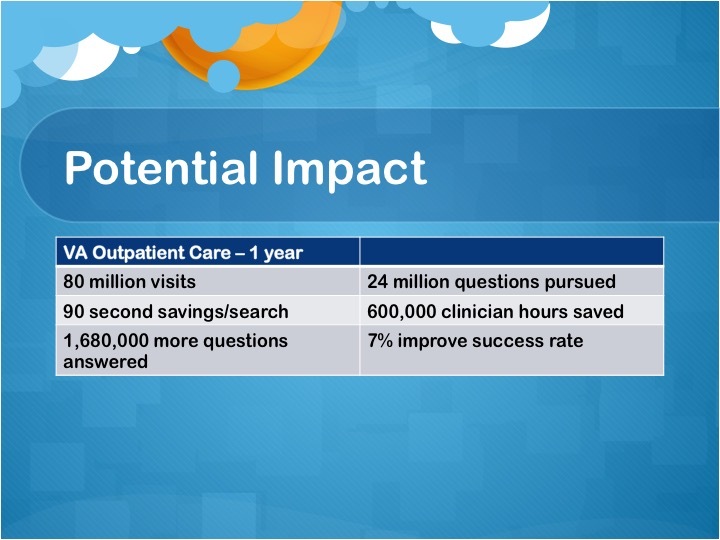 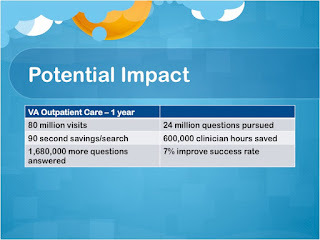 this larger library can take time and resources, it generally results in shorter, disease-related order sets, which are focused on the total management of the patient in an evidence-based manner, with better decision support, better provider satisfaction, better quality compliance, and better overall time savings. 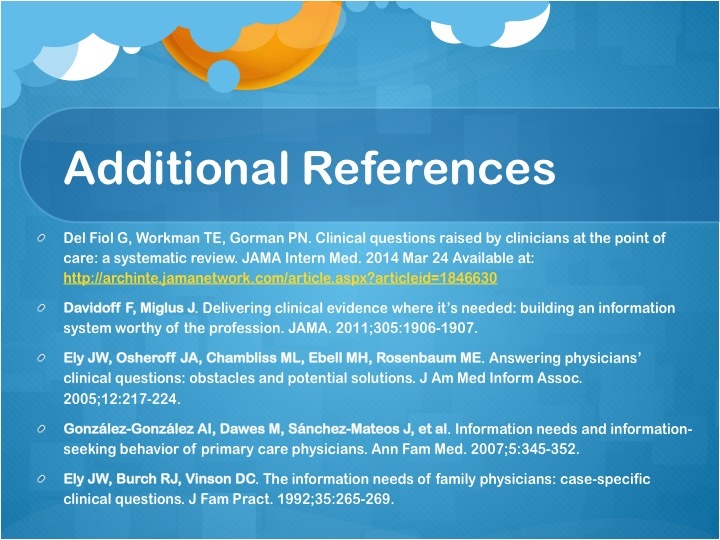 Conducting a complete review of all current clinical documentation and forms. 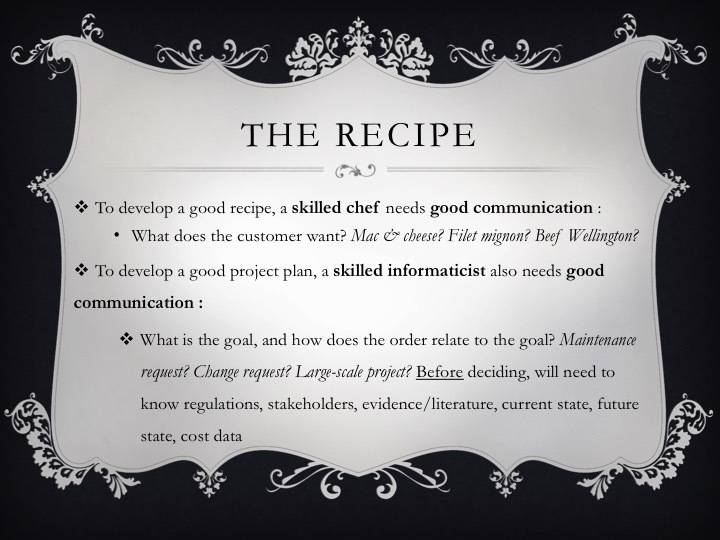 Planning and budgeting for the informatics resources necessary to fix (and maintain!) 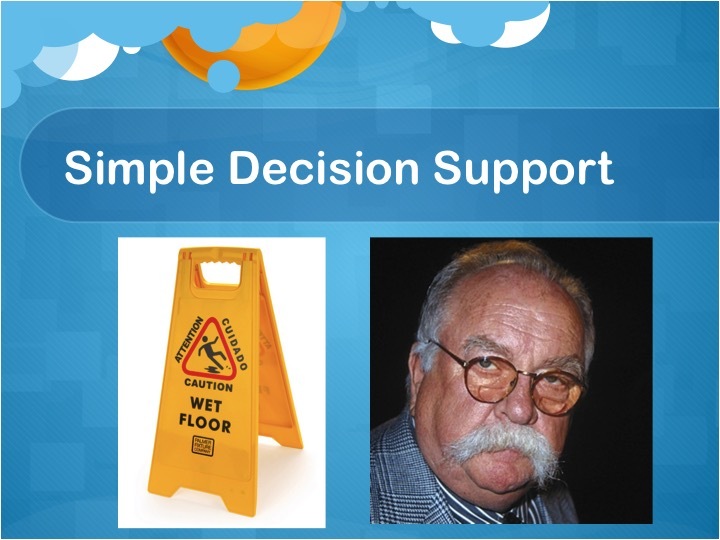 your solutions. And so the first step in solving these issues is finding an experienced Informatics or workflow professional, and asking them to do a good current-state and needs analysis. 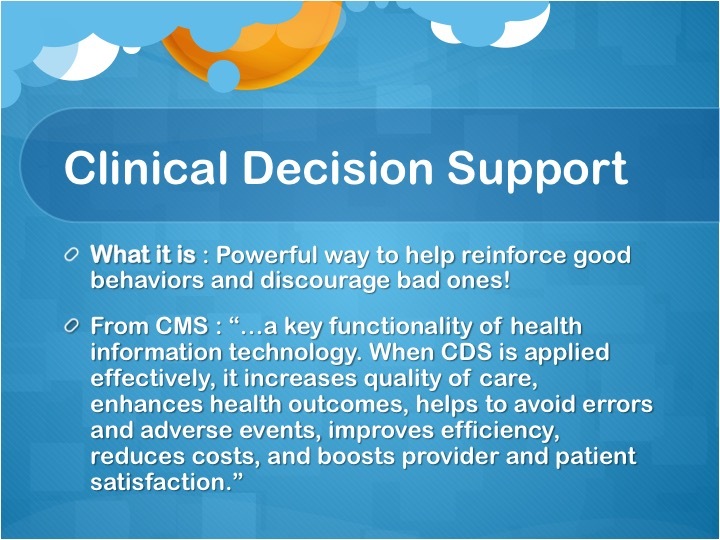 The answer will help determine your success and satisfaction with your new EMR implementation! I hope this post has been helpful in creating understanding and clarity. Thank you so much for reading my blog, and many happy wishes for 2016! 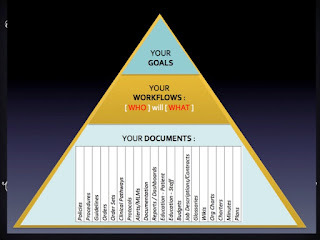 Have any thoughts about workflow redesign and optimization? Leave them in the comments section below! I was able to condense it into this 7-minute, 23-second video below. For today's post, I'd like to offer some insight about two common questions I get - What is clinical informatics, really? 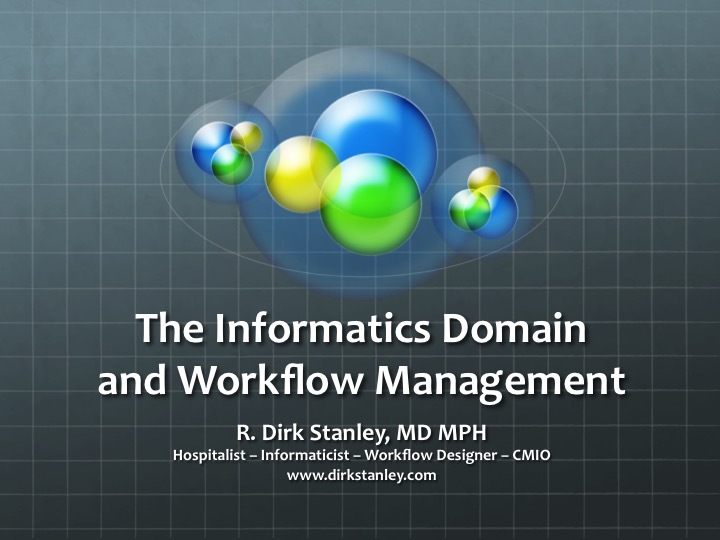 And just how is informatics related to workflow development in the EMR world? 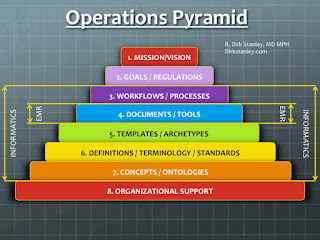 To describe how operational tools and workflows are developed and directed in an organization. 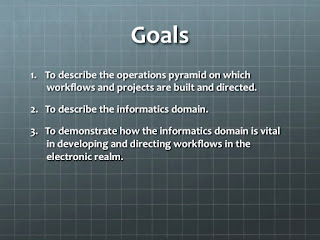 To describe the informatics domain. To demonstrate how the informatics domain is vital in developing and directing workflows in the electronic (EMR) realm. 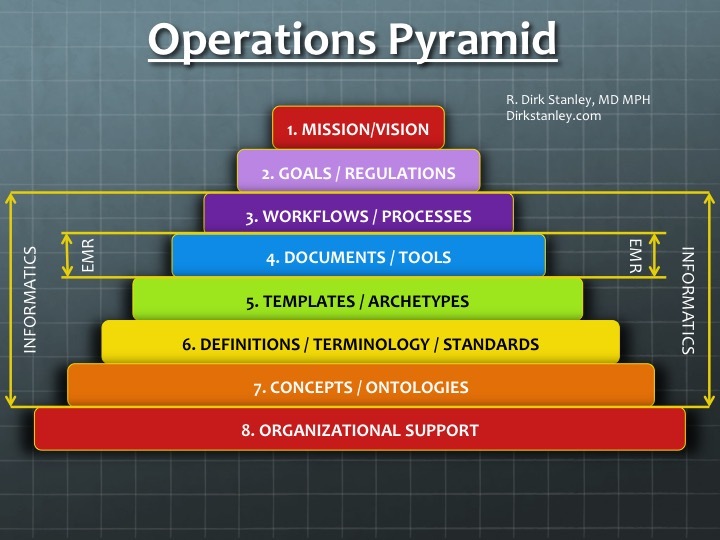 At the top is the Mission/Vision - This is essential for setting the tone and direction of the organization, creates goals and targets, and is necessary to align the rest of the operations with successful outcomes. 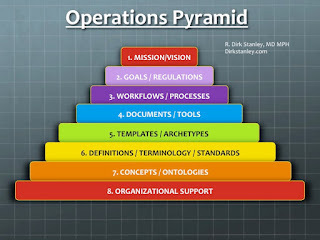 Typically, senior leadership has the responsibility for defining this very important part of the operations pyramid. At the bottom is the Organizational Support - Because nothing happens in an organization without good support. Mission / Vision of the organization. 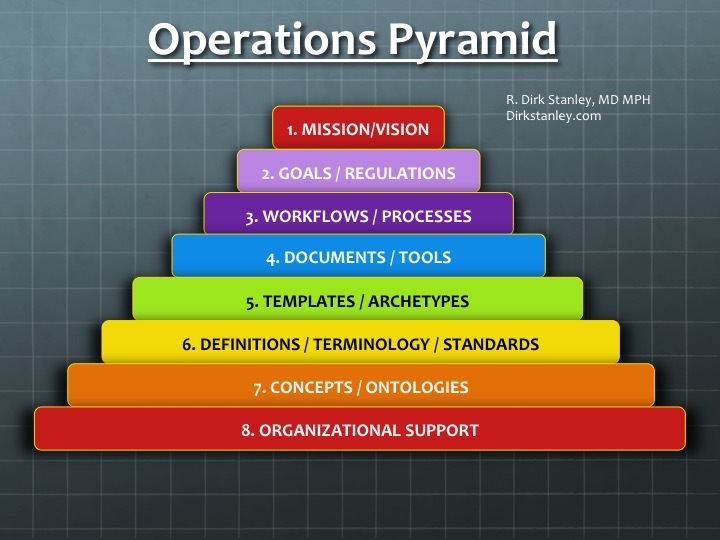 Even when it's not fully appreciated, every organization has this pyramid at work, creating predictability and infrastructure - or not, if it's not well-understood. So to be successful at creating predictable workflow/process outcomes (#3), Informaticists must also concern themselves with steps 4-7. ... the depth/breadth of these of deliverables. So to better understand the challenges organizations may face when developing a successful Informatics framework, let's look at this line #4 (Documents/Tools) in a little more detail, and see how it related to workflow development. 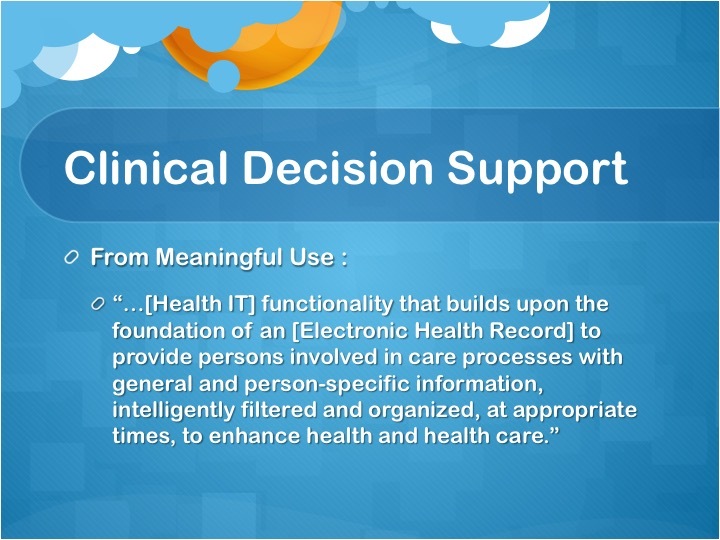 The ones that span both (largely the emerging workflow technology which is created to help automate clinical workflow management). 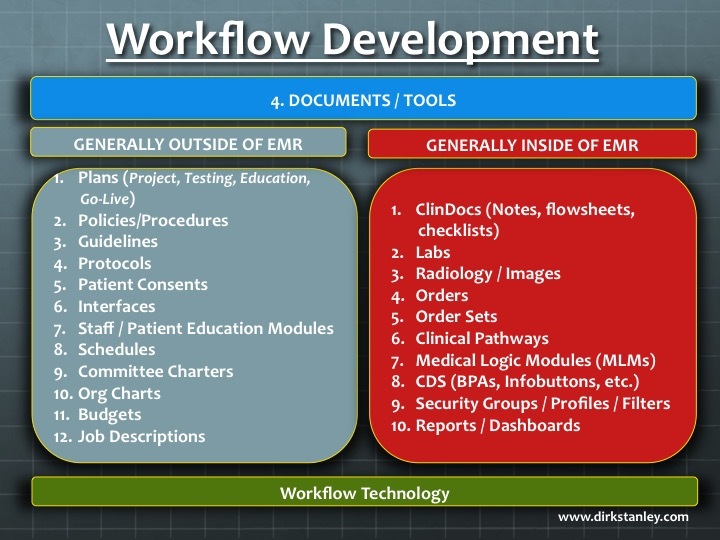 The challenge that some organizations face in developing a successful informatics platform, however, is the understanding that whether they are inside the EMR or outside the EMR, or both - These deliverables all impact workflow. So to avoid conflict, it's important to consider breaking with tradition, and developing a newer governance model which integrates your informatics leadership with the leadership of these other departments (e.g. quality, nursing, IT, HR, and finance). 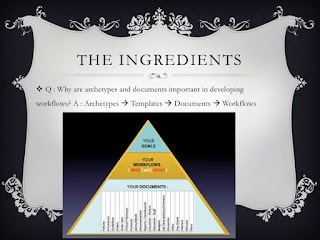 If the workflows that the organization needs depends on all of the deliverables, together, then it's important that the leaders of all of these areas work together to manage these deliverables as a team. And this is why informatics should not be confused with IT, tech support, or 'whatever's inside the EMR' - Workflow success depends on the integration of leadership from all of these areas, to ensure that the organization can build and fully support the workflows that are needed to support their operational goals and vision. I hope this post has been helpful to you! Leave any comments or feedback in the comments section below! 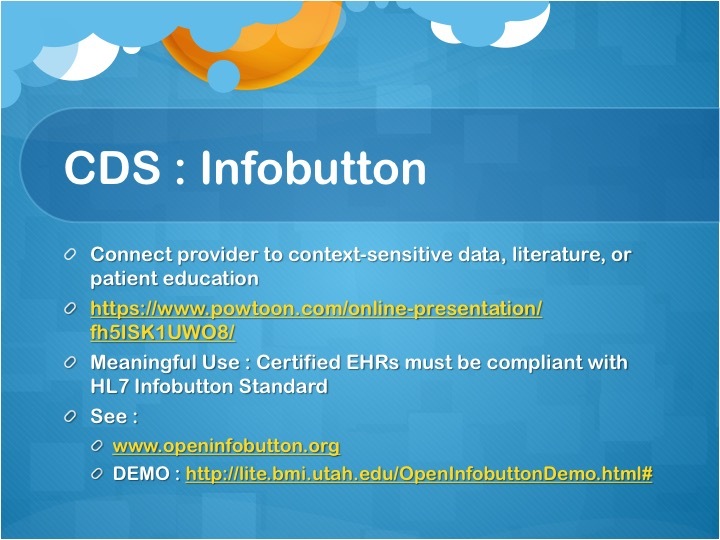 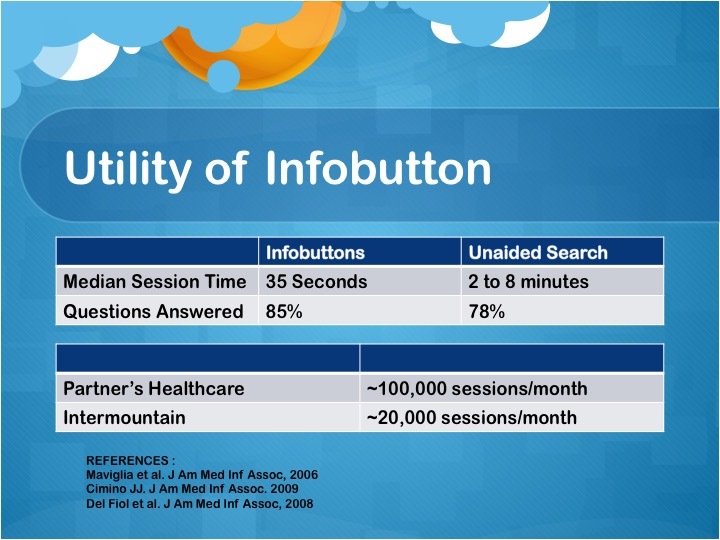 What are Clinical Decision Support and Infobuttons? A very powerful and broad toolkit of tools that helps answer questions and guide people towards the right decisions at the right times. 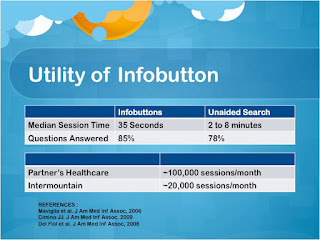 Not just pop-up alerts! E.g. CPOE or BPA (Best Practice Alerts)! 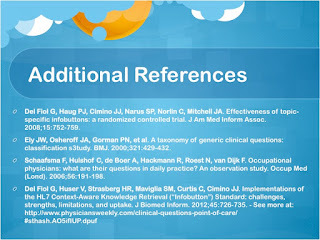 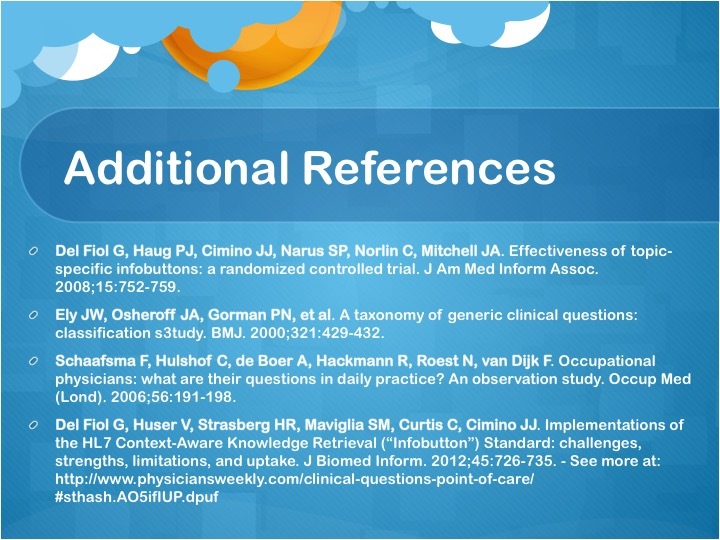 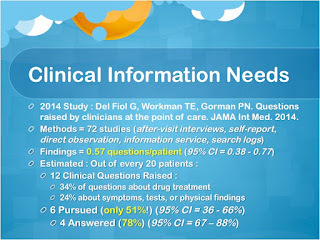 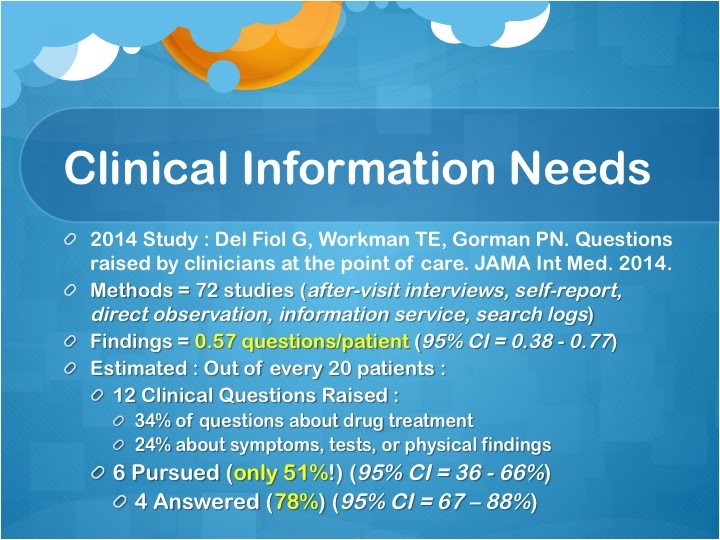 What Dr. Del Fiol identified in this landmark paper is that almost half of patient interactions result in a question about clinical care - Either about drug treatment, symptoms, tests, or physical findings - And when these questions do arise, only about half of them get answered, often because of a clinical lack of time to research an answer, or doubt that a useful answer exists! 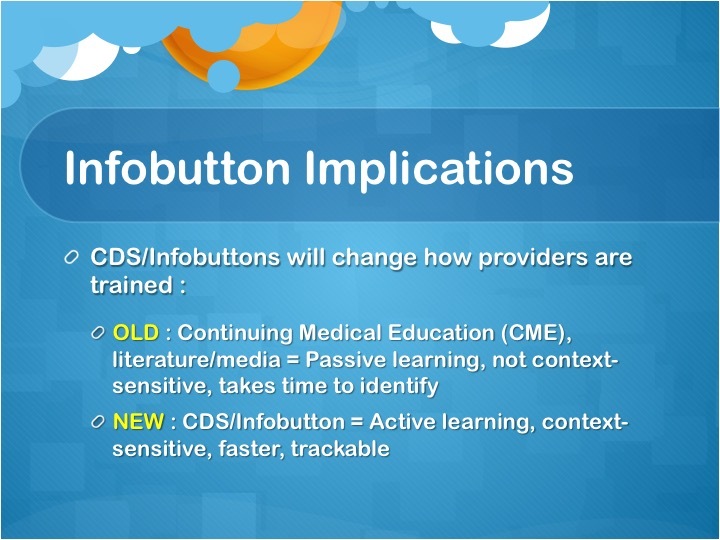 So my take-home messages about CDS and Infobuttons? I hope this was a helpful introduction to the concepts and tools of Clinical Decision Support, and the role that Infobuttons play in that toolkit. Special thank you to Dr. Guilherme Del Fiol (and many other talented #Informatics leaders) for their work in publishing these very important studies, which help us understand opportunities to help improve the efficiency and accuracy of care delivery. What are your thoughts about CDS? 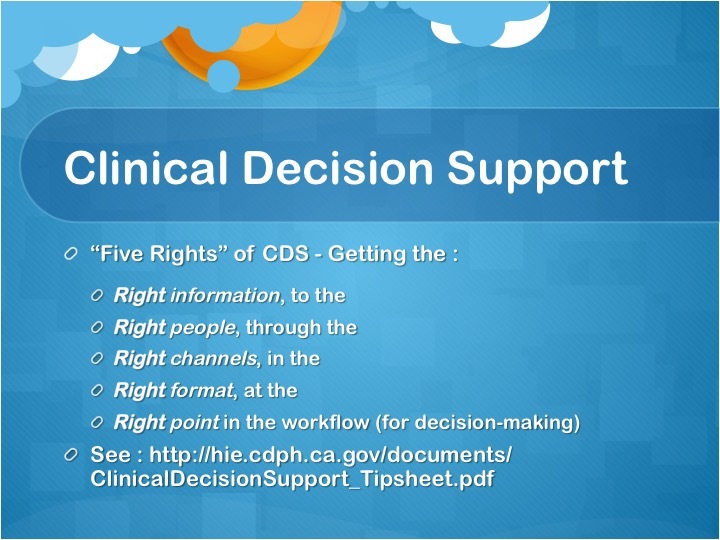 Do you have any favorite CDS tools? Feel free to leave comments section below!